Whether a seasoned angler or a curious beginner, this adventure is for anyone who wants to fish. With the assistance of experienced pilots and guides, guests are whisked away to remote waterways filled with wild Pacific salmon. Freshwater salmon fishing, including coho and pink, is available from early-August to late-October, and trout fishing, including rainbow, cutthroat, and Dolly Varden, is available through our partner Nimmo Bay’s season of May to October. 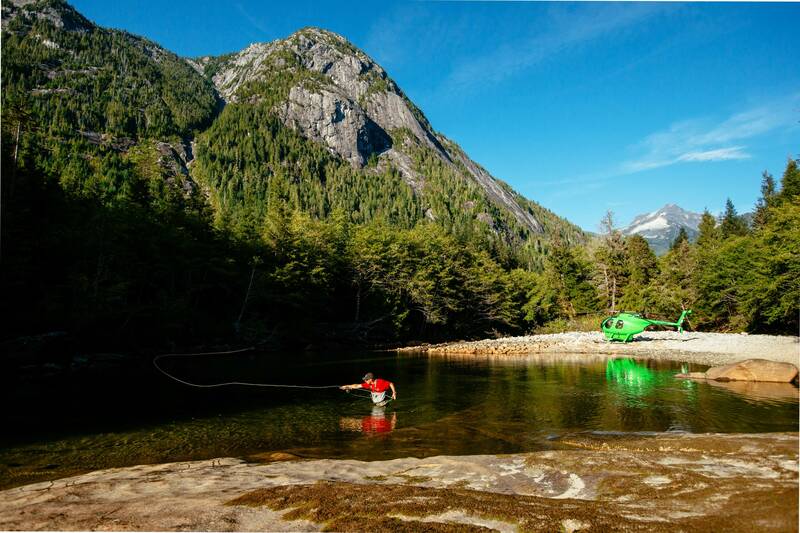 Helicopters offer exclusive access to over 50 rivers and streams of the Great Bear Rainforest, some of which are only frequented by guests of Nimmo Bay. 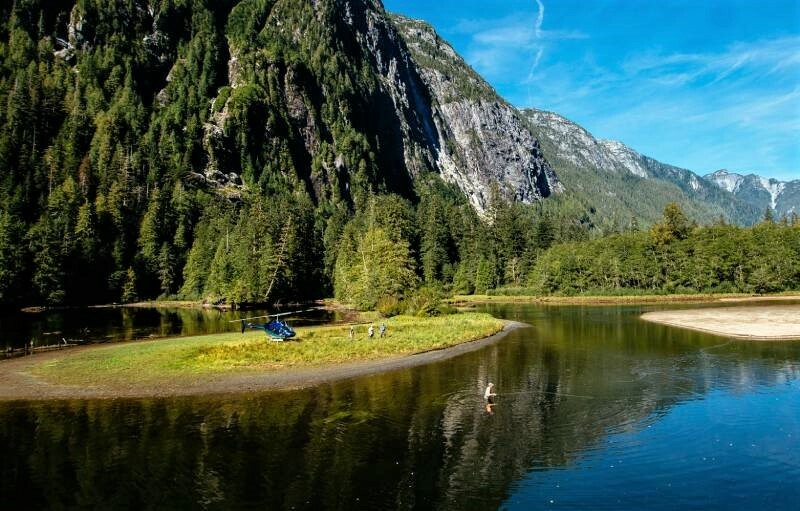 Anglers will have the morning to fish, following the resort’s catch and release policy, before enjoying a picnic lunch on a west coast beach, a glacier, or at some other breathtaking setting. Then, it is back to the riverside for more fishing. This is a unique and unforgettable experience for those looking to combine their love of nature with a yearning for adventure.